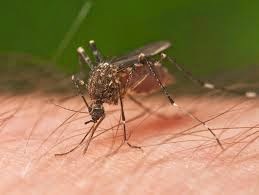 Background: Mosquito bites can cause a person to get Eastern Equine Encephalitis (EEE) and West Nile Virus (WNV). This is going to be a threat every summer. Challenge for the Contest: Help us convince all age groups that the threat of these viruses is real and that they should take specific actions to protect themselves and their families. Eligibility to participate in the contest: Students in grades k-12 who are in public schools, private schools, or home schooled. Additionally, students may submit entrees from organizations or groups such as scouting groups, 4-H, day care, church groups, etc. · All entrees must be received by June 20, 2014. · Winners will be announced during National Mosquito Control Awareness Week: (June 22-28). There will be one overall winner in each age/grade category: K-1, 2-3, 4-6, 7-9, and 10-12.